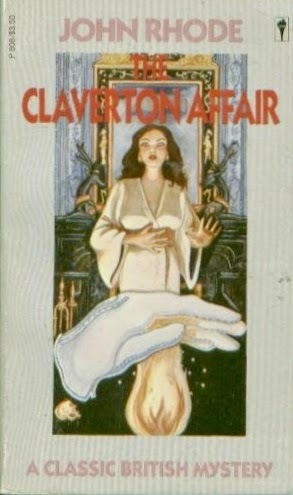 John Rhode’s The Claverton Mystery (published in the US as The Claverton Affair) appeared in 1933. 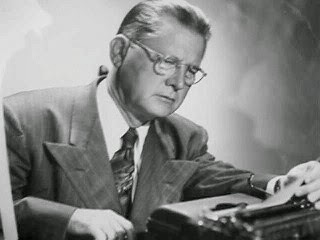 It was the fifteenth of the seventy-two Dr Priestley mysteries written by Major Cecil John Charles Street (1884-1965) using the John Rhode pseudonym. It had been preceded by the very entertaining The Motor Rally Mystery (US title Dr Priestley Lays a Trap) and was followed by the excellent The Venner Crime. Several of the characters in The Claverton Mystery also appear in The Venner Crime. The Claverton Mystery begins with a visit by Dr Priestley to an old friend, Sir John Claverton, who has fallen ill. They had once been close but since the war they had drifted apart somewhat. An urgent message from Claverton suggested that perhaps all was not well with him and Priestley, feeling slightly guilty for not having made more effort to keep up the friendship, arrives at Claverton’s rather gloomy dwelling. The truth is that Claverton has become just a little eccentric, insisting on remaining at 13 Beaumaris Place even though the neighbourhood has lost much of its former charm. Claverton had, rather unexpectedly, inherited the house and a large fortune some years earlier and he appears to have developed a rather superstitious attachment to the place. As soon as Priestley arrives it is clear to him that something is not quite right. Claverton has always lived alone so who are these strange people who seem to have taken up residence there? Why is Claverton now reluctant to tell Priestley why he summoned him? And if Claverton’s illness is really not serious (and Dr Oldland assures him that this is the case) why is the doctor clearly much more concerned than a minor illness would warrant? Claverton’s death deepens the mystery considerably, the post-mortem results coming as a considerable shock to Priestley. Claverton died from natural causes although Priestley is convinced otherwise. Of course there is a will, which deepens the mystery still further. And Claverton’s relatives give Priestley a very uneasy feeling. Priestley dislikes forming theories until he feels he has all the facts at his command. If the accumulation of these facts happens to take several months that is no problem - he is a patient man and he is prepared to wait. Dr Priestley is generally speaking the type of amateur detective who regards his hobby as a stimulating exercise in puzzle-solving, a very satisfying pastime but one that engages the intellect rather than the emotions. This case is quite different. Priestley was genuinely fond of Claverton and his old friend’s death upset him a good deal. The truth is that Priestley is by no means as emotionally cold as his crusty exterior would suggest. Another respect in which this novel differs from most of the John Rhode mysteries is in the decidedly gothic atmosphere and the hints of the occult. The author does not overdo these elements but they are certainly present. This novel contains all the features that modern critics tend to disparage in golden age detective fiction. The motive hinges on the provisions of a will and an unbreakable alibi forms an important plot point. The murder method is somewhat unlikely if undeniably ingenious. Events in the distant past play a major rôle. 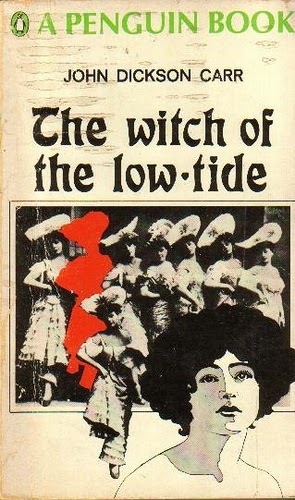 Rhode was an author with no interest in “subverting” the conventions of his chosen genre. While this will not endear him to the postmodernists I personally admire his approach. Telling a good story while remaining strictly within the confines of genre conventions and finding a way to make that story still seem fresh and interesting is something which in my view requires more talent than “subverting” or “transcending” those conventions. 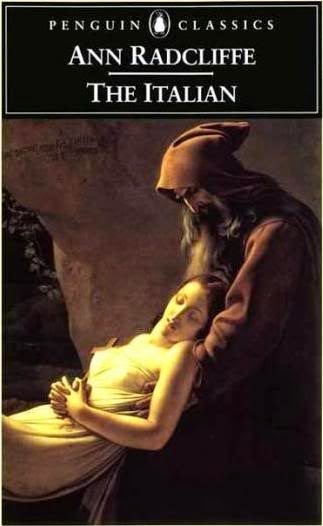 And Rhode was a very good story-teller indeed. The solution to the puzzle involves one element that might seem to be pulled out of a hat but in fact Rhode has been scrupulously fair in providing clues to alert us to the existence of that particular metaphorical hat. The Claverton Mystery is golden age detective fiction at its best. Immensely enjoyable and highly recommended. 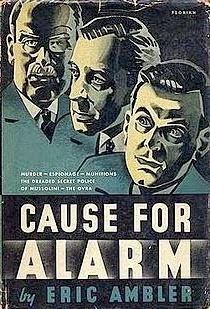 Although Eric Ambler’s Cause for Alarm appears as part of Pan’s Classic Crime series it’s really more spy thriller than crime thriller. On the other hand, being published in 1938, it has the right period flavour for this community. Although Ambler was English the mood is closer to the cynicism and corruption of Hammett and Chandler than to English crime writers of that time. The British writer to whom Ambler is sometimes compared is Graham Greene, and the world Ambler scribes in this novel has more than a hint of Greeneland about it. While Hammett and Chandler focused on cynicism and corruption at the level of city politics and local criminal activities, Ambler focuses on international politics and big business. Cause for Alarm concerns a British engineer working in the Milan office of a British engineering firm, who becomes involved in shady government contracts and espionage. He would make a perfect hero for a 1930s Hitchcock movie, being basically honest and decent but also rather naïve. 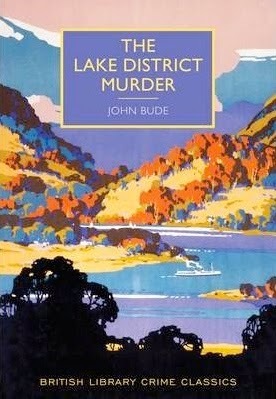 In fact this book would have made a great 1930s Hitchcock movie! Eric Ambler (1909-1998) was, more than any other writer, responsible for popularising the gritty realist school of spy fiction. Epitaph for a Spy is the most famous of his early thrillers while Judgment on Deltchev is a good example of his later style. Ambler’s style is crisp and pleasing, and he creates a very effective atmosphere of suspense and suspicion. This leads up to an extended and very exciting chase. Being the 1930s, the chase naturally involves trains, and you really can’t go wrong with a chase involving trains in the 1930s. This is a very entertaining novel, with some very pertinent and still very relevant political aspects to it. Highly recommended. Death on the Nile is a 1937 Hercule Poirot mystery by Agatha Christie, and it is in fact one of her best-known books. There’s really very little one can say about Christie’s plotting that hasn’t been said before. Suffice to say that once again she delivers the goods. Christie’s second husband was the archaeologist Max Mallowan and she often accompanied him on field trips. As a result she was very widely travelled in the Middle East and she made good use of this, setting many of her mysteries in this part of the world. And as you would expect, archaeology often plays a part in her stories. One of the suspects in Death on the Nile is an Italian archaeologist. Christie was always anxious not to become known for stereotyped country house settings and exotic locations were useful for adding a little spice. She was also keen on settings such as trains, aircraft and in this particular case a steamer on the River Nile. These proved to have all the advantages of traditional country house settings, with suspects confined to a small group of people, with some additional advantages of their own. It also helps that Poirot is the sort of character one can well imagine enjoying such trips. Of course it goes without saying that he does not approach foreign travel the way most people would. Poirot’s holidays are planned down to the smallest detail with nothing left to chance - he knows exactly where he is going to be at any given moment and is thoroughly alarmed by the prospect of varying his itinerary in even the smallest degree. Even his luggage is planned with with meticulous precision. Most people would expect to misplace one or two small items in all the confusion and excitement of travel, but not Poirot. Poirot’s obsessive-compulsive habits are always endearing but they are even more so when he is abroad. Travel involves a constant struggle to maintain order but Poirot is equal to the challenge. Exotic locales also provide Christie with the opportunity to populate this novel with an array of exactly the kinds of colourful and eccentric characters you would expect to find on a steamer on the Nile in 1937, and to give the novel a nicely multi-national character. Poirot is a character who might have been obnoxiously arrogant in the hands of a lesser writer but Christie was well aware of the risks and balances her hero’s egotism with an essentially kindliness and a generally benevolent attitude towards humanity. Naturally Poirot’s tolerant disposition does not extend to murderers, of whom he disapproves most strongly, although even in the case of a murderer he can feel a degree of compassion. Poirot’s kindliness is put to the test in Death on the Nile. The first murder does not occur until well into the story but Poirot has been filled with forebodings right from the start. His great fear is that a particular character for whom he has a certain sympathy will be tempted to, in his words, open her heart to evil. In fact, while Christie never lost sight of entertainment as the primary objective of the detective story, it could be argued that this provides the theme of the novel - that murder is not inevitable, it is a choice. As for the plot, it has more than enough twists and turns to satisfy any mystery fan. One of the things that impresses me about Christie is that while alibis and other such technical details are handled with consummate skill she generally manages to present us with a solution that is psychologically satisfying as well. 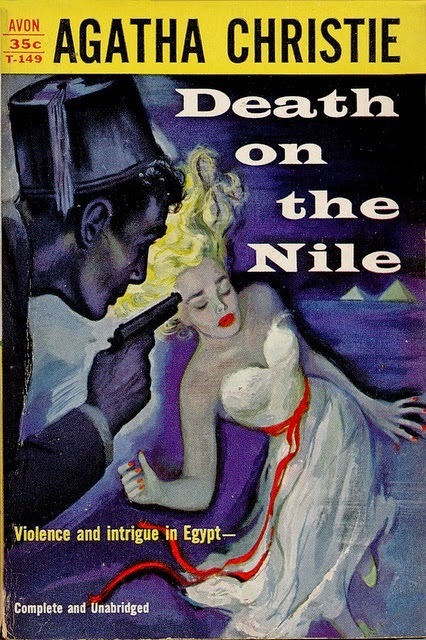 Death on the Nile is a very highly regarded example of the genre and it has no difficulty in living up to its reputation. Highly recommended. 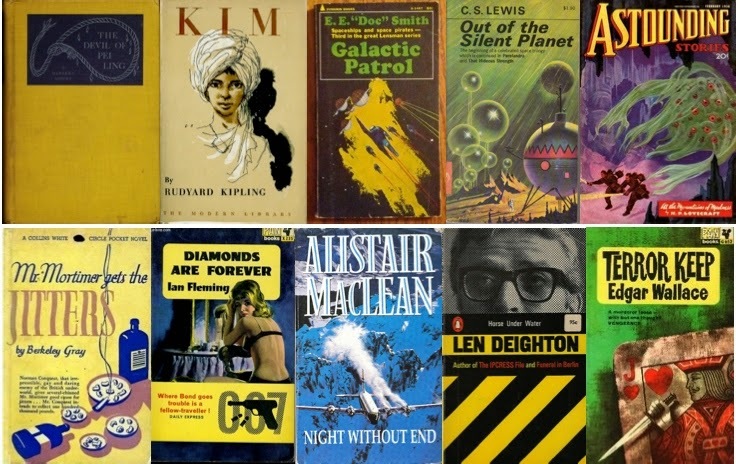 Helen MacInnes (1907-1985) was a very popular writer of spy fiction during her lifetime and unlike many thriller writers of her era her books remain in print. Her husband worked for MI6 for many years, which gives her books a feeling of authenticity. In fact it’s been suggested that she made use of classified material to which he had access. She was popular enough to see four of her spy thrillers adapted to film. 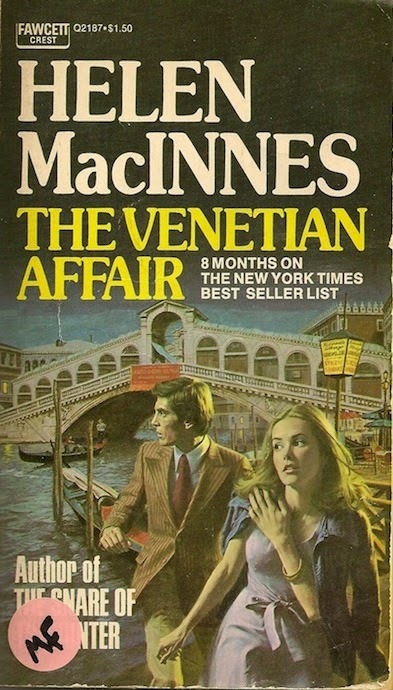 The Venetian Affair, published in 1964, was made into a movie of the same name in 1967. Her early books such as Above Suspicion deal with espionage in German-occupied Europe during World War 2. After the war she switched to Cold War themes, reflecting her strong dislike of totalitarianism. MacInnes was born in Scotland but became a US citizen in the early 1950s. I’ve seen MacInnes’s books referred to as Ian Fleming for grownups, a comparison that is rather unfair. 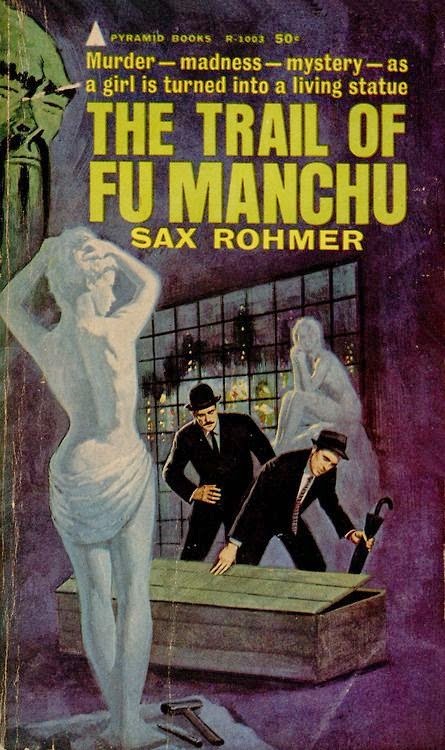 Fleming was in the grand tradition of early 20th century British thriller writers like John Buchan, H. C. McNeile’s Bulldog Drummond novels and Sax Rohmer (an influence which is often overlooked but which Fleming himself acknowledged). 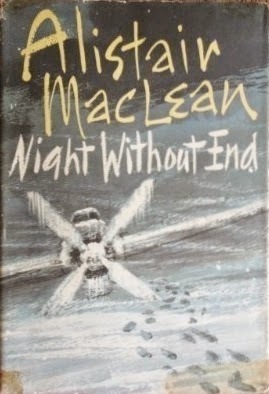 MacInnes belongs to a very different tradition, that of the dark-edged thrillers of betrayal which began with Eric Ambler and Graham Greene and led eventually to Len Deighton and John le Carré. Like Ambler MacInnes was fond of protagonists who are amateurs caught up reluctantly in the treacherous and dangerous world of espionage. The protagonist of The Venetian Affair is very much of this type. Bill Fenner is an American theatre critic on his way to Paris for a sort of working holiday. On the plane he notices a large and very nervous man who looks distinctly unwell. On arrival at Orly this man collapses and there’s a certain amount of confusion. Fenner thinks little of this until he gets to his hotel and realises he has picked up the wrong coat by mistake. He has picked up the nervous man’s coat and when he examines it he finds a very disturbing surprise. Sewn into the lining is a package containing $100,000 in American currency. Reasoning that it is very unlikely that any man who goes around with that amount of money concealed in his coat would have come by the money honestly, and further reasoning that he is now in a slightly awkward position, he contacts the American consulate. As a result of that innocent mix-up with the coat Bill Fenner finds himself plunged into the murky world of espionage. The American security services already know about the money and they have their suspicions as to its purpose but they now need Bill Fenner’s help in unravelling a very dangerous conspiracy. Fenner had been a foreign correspondent until his rather unpleasant divorce. He had discovered that his wife was a Soviet agent and that she had been using him for her own political purposes. So Fenner is not entirely a stranger to the world of international intrigue. Fenner’s trip to Paris was also not quite as innocent as he had believed. His boss, the publisher of The Chronicle, had asked him to interview a French professor of Moral Philosophy. The professor had been involved with the Resistance during the war and now runs a kind of private intelligence-gathering network. And he has stumbled onto a vast communist plot involving the assassination of a major world leader and an attempt to use this assassination to discredit the US and to sow dissension between the US and its European allies. These three plot strands - the interview with the French professor, Fenner’s divorce and the mix-up with the coat - will gradually be drawn together in Venice. MacInnes was known for her skillful use of exotic locations and that skill is very much to the fore in this novel. If there’s a weakness to this story it’s a slightly excessive reliance on coincidence. Fortunately it’s not a serious flaw and MacInnes’s intricate plotting is generally effective. Betrayal is very much the theme in this novel. Espionage is not just an amusing pastime for bored theatre critics, it’s a vicious world of treason, personal treachery and deception. The world of espionage is a dangerous and unpleasant world but Bill Fenner is also very much aware that there are vital interests at stake and there is a very real moral dimension. MacInnes was not one of those spy writers who saw espionage as a contest between two equally corrupt sides. There is good and evil, right and wrong, and evil does not go away if you try to ignore it. MacInnes lacks the corrosive pessimism and cynicism of a le Carré or a Deighton, or even an Ambler. In spite of this (or possibly because of it) her popularity reached new heights in the 1960s. The Venetian Affair is a fine example of the realistic spy novel, and it’s thoroughly entertaining. Highly recommended. 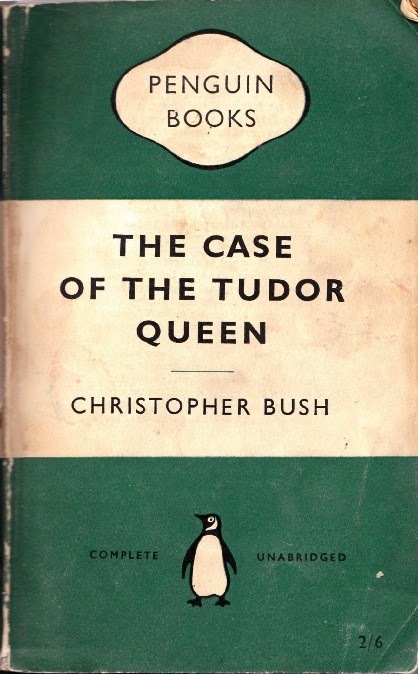 Christopher Bush was an English writer of detective stories. I’ve seen at least three different birth dates given for him, ranging from 1881 to 1888. He died in 1973. He was successful enough in his day to earn his living as a full-time writer and to produce 63 mystery novels as well as a dozen thrillers. His work is long out of print and he has subsided into almost complete obscurity. If Julian Symons had included Bush in his celebrated survey of the genre, Bloody Murder, it seems likely he would have consigned him to the Humdrum School. The Case of the Tudor Queen appeared in 1938 and was the eighteenth of his mysteries featuring the team of Detective-Superintendent Wharton and private detective Ludovic Travers. Wharton is an old school copper and is perhaps just a little in the Colonel Blimp mode although he’s certainly no fool. Travers is a communist, and being a communist he is of course upper-class. His solidarity with the working classes does not extend to working for a living himself, or to dispensing with his faithful servant Palmer. Travers is clearly wealthy and really seems more like an amateur detective than a working private detective. Wharton by contrast does not have a privileged background and had to work his way up through the ranks, which is why he does not share Travers’ political views. Thankfully these political views do not intrude on the story in any way. Wharton and Travers stumble upon a couple of corpses. It seems to be a slightly bizarre double suicide but there are a few things that don’t quite add up. One of the victims is Mary Legreye, a fairly well-known actress. She is around 35 years of age and has just had her first really significant success, starring as Mary Tudor in a hit play called Stoney Heart. While there does seem to be a possible motive for suicide neither Wharton nor Travers is quite convinced. If it’s murder then there are a number of possible suspects. The problem is that while the two detectives are unhappy with the suicide theory they can’t come up with a murder theory that works satisfactorily either. 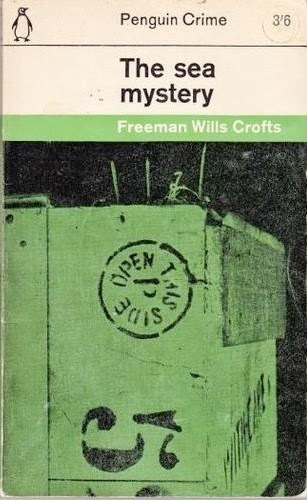 Bush would appear to be something of a follower of Freeman Wills Crofts with alibis being the central focus of the (rather ingenious) plot. Everyone seems to have an alibi and the alibis seem to be unbreakable. This plot angle is handled in the kind of painstaking manner that characterises the work of Crofts, and it has to be said that it’s handled quite adroitly. Bush is more interested in how the crime might have been committed than in the issue of who actually committed it, and while it might not be overly difficult to identity the probably criminal the means by which murder was done provides a satisfying and difficult puzzle. This book’s other great strength is the way the theatrical background is very cleverly and very intricately woven into the plot. Both Wharton and Travers suspect that the play itself contains the vital clue. They’re correct, but untangling the actual connection proves to be a formidable challenge. Crofts fans are likely to enjoy this fairly short novel quite a bit. Golden age detective fans in general will find it worth checking out. Bush’s prose isn’t exactly dazzling but his two-detective team of crime-solvers works quite effectively and Bush offers the reader a crime with some bizarre touches and a suitably complex and well thought out solution. It’s not quite in the Crofts league but it’s a solid mystery. Recommended. Dr Eric Temple Bell (1883-1960) was a distinguished Scottish-born mathematician who wrote science fiction novels under the name John Taine. His lost world science fiction tale The Greatest Adventure was published in 1929. Lost world stories had been immensely popular ever since the publication of H. Rider Haggard’s King Solomon’s Mines in 1885 and they remained popular until the 1930s. The trick with lost world adventures was to keep coming up with new variations on the theme and The Greatest Adventure certainly achieves that. 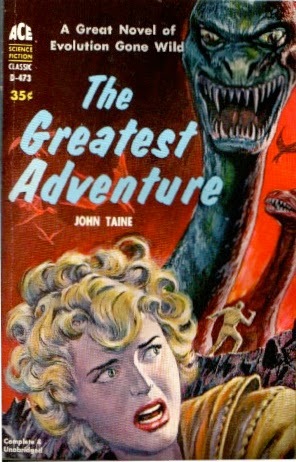 The cover illustration might lead the reader to expect just another “lost valley of the dinosaurs” story but Taine throws in some original twists. By 1929 it was no longer really credible to set a lost world story in Africa or South America. The idea that a lost civilisation could still be undiscovered in a world with fewer and fewer unexplored places was starting to become a little far-fetched. The obvious solution was to locate your lost world in Antarctica, which is what Taine does. Antarctica had been used as a setting by Poe and the frozen wastes of the polar regions would be used by a couple of classic science fiction/horror stories in the 1930s - Lovecraft’s At the Mountains of Madness and John W. Campbell’s Who Goes There? 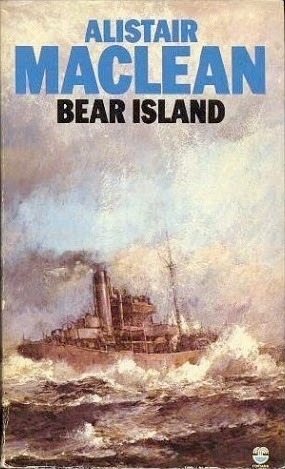 In 1945 it would later be used in one of the last of the great lost world novels, Dennis Wheatley’s The Man Who Missed the War. The Greatest Adventure is in some ways an anticipation of Lovecraft’s tale, being a story not just of adventure but also of unimaginable horror and cosmic evil. It all starts with a sea captain trying to sell a strange specimen to Dr Eric Lane. Dr Lane is a biologist and medical researcher with a special interest in the more gruesome kinds of diseases. He is convinced that the answer to the conquest of disease can be found by studying diseases in the lower animals. As a result he has gained a reputation for being willing to pay high prices for anything strange that may be found in the sea. And what Captain Anderson has found is very strange indeed. It looks like the missing link between reptiles and birds. A well-preserved specimen of such a long-extinct creature is exciting enough but the really startling thing about this one is that Captain Anderson swears the creature was alive fifteen minuted before he hooked it. What’s even stranger is that upon examining the specimen Dr Lane is inclined to believe the grizzled old sea dog is telling the truth. Dr Lane offers to do better than just buying the creature. He will finance an expedition to the place where Anderson found it (Dr Lane is extremely rich having been a successful businessman before taking up science full-time). Captain Anderson is delighted because for him the expedition will serve another purpose. He has reason to believe that the spot in question, on the shores of the Antarctic, contains not just strange animals but oil. Oil in very large quantities. Dr Lane persuades his friend Drake to accompany the expedition. Drake is an expert in deciphering ancient inscriptions in the form of pictograms. Dr Lane wants him along because of some photographs that Captain Anderson’s first mate Old Hansen took, photographs of apparently very ancient inscriptions. Such inscriptions are not what you generally expect to find in Antarctica. Anderson and Hansen will be part of the expedition as will Dr Lane’s daughter Edith. Edith proves to be extremely useful, being an expert flyer. This is to be a high-tech expedition with its own aircraft. What the expedition finds proves to be stranger than anyone could have expected although Dr Lane already has his suspicions, having noticed some very odd features about that creature Captain Anderson sold him. What they find is not merely strange but terrifying enough to threaten their collective sanity. They find dinosaurs, they find a lost civilisation, but they also discover a horrifying history of madness and evil. The parallels between this novel and Lovecraft’s much better-known story really are quite striking. Taine’s prose style lacks the baroque excessiveness of Lovecraft but it’s quite serviceable. Taine adds quite a bit of humour to leaven the horror, much of the humour being provided by the first mate Ole Hansen, an indefatigable amateur scientist much given to bizarre and outlandish theories (some of which turn out to be surprisingly plausible). Hansen is a genuinely amusing character so the comic relief isn’t really irritating. Taine also shows himself well able to match better-known writers when it comes to flights of the imagination on an epic scale. The science is not always terribly convincing although it’s more plausible that that found in some other celebrated stories in this genre. If you’re a fan of lost world adventures The Greatest Adventure is well worth seeking out. Very entertaining, and highly recommended. 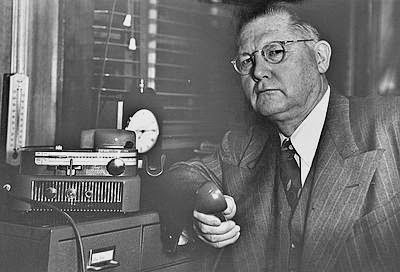 Anthony Berkeley Cox (1893-1971) enjoyed considerable success as a writer of detective novels during the 1920s under the name Anthony Berkeley, one of the best-known of these books being The Poisoned Chocolates Case, published in 1929. 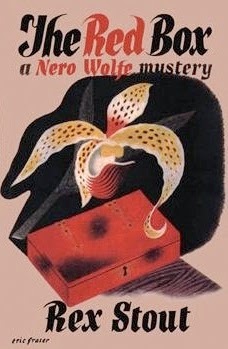 In the 30s he would gain a reputation as a major innovator with his psychological crime novels such as Malice Aforethought and Before the Fact written under the name Francis Iles. 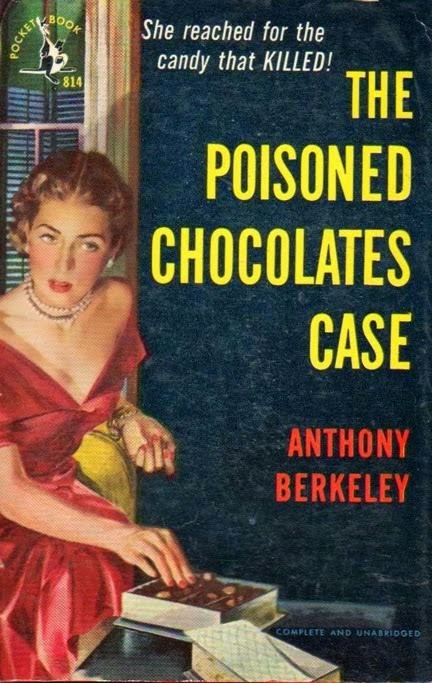 The Poisoned Chocolates Case is one of the more interesting experiments in detective fiction and is a useful corrective for those who imagine that golden age detective fiction was characterised by rigid adherence to a formula. This book presents us with no less than six detectives who manage to come up with six different solutions to the same murder case. Roger Sheringham, Berkeley’s main series detective, has finally achieved one of his great ambitions. He has brought into being the Crime Circle, a private club for criminologists. Membership of the circle is very select, being at this stage confined to just six members. Prospective members have to demonstrate their gifts as criminologists and must be accepted by a unanimous vote of the existing members. Sheringham has now come up with what he conceives as a splendid exercise for the entertainment of the members. He has persuaded Chief Inspector Moresby to give the members a rather full rundown on the current progress of a case currently being investigated by Scotland Yard. The meeting of the Circle will then adjourn for a week to give each member the opportunity to put their criminological knowledge into practice by coming up with their own solution to the crime. Sheringham is confident that his Crime Circle will solve a case that has this far baffled the efforts of Scotland Yard. He also rather naturally hopes that his own solution will be the correct one since he seems to consider the Crime Circle as existing to a large extent for the glorification of Roger Sheringham. The crime in question is the murder of Mrs Bendix. Sir Eustace Pennefather, a rather notorious rake, received a box of chocolates through the mail addressed to him at his club. They were ostensibly a sample of a new line of liquer chocolates. Sir Eustace seemed annoyed rather than pleased by this unexpected largesse and gave the chocolates to a fellow member of his club, a wealthy young man named Bendix. Bendix took the chocolates home to his wife, who died after consuming half a dozen or so. Bendix himself, who had eaten only two of the chocolates, became seriously ill but recovered. Perhaps surprisingly each member of the Crime Circle comes up with a very different solution to the case. Not only does each member point to a different killer, their methods of arriving at their conclusions differ quite sharply. As each member presents his or her solution they first set about systematically demolishing the solution presented by the preceding speaker. Considered purely as a work of detective fiction this book might perhaps have been more effective had the reader been left in doubt as to the correctness of each member’s solution until the end of the book. My impression is however that Berkeley was not intending to produce a work of detective fiction so much as a satire upon the genre, and assuming this to be the case it is understandable that he would take great pleasure in having his amateur sleuths gleefully trash each other’s theories. As a satire it is certainly effective, and undeniably very amusing. It also has to be admitted that some of its criticisms of the genre do have some validity, particularly the point that it is very easy for an armchair detective to make a strong case against almost anybody by being selective in the presentation of evidence and ignoring any evidence that would tend to weaken their pet theories. Whether the book works as a detective novel is more difficult to say. By undermining the credibility of his various fictional detectives he can’t help to some extent also undermining his own credibility since he is presumably subject to the very same faults as they are. Of course when regarded as a satirical novel that factor can be considered as adding extra piquancy to the satire. 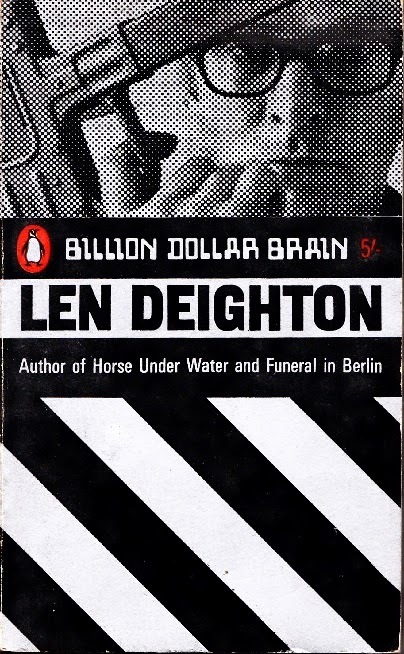 As a detective novel it relies much too heavily on coincidence, but again if you assume that the book is meant primarily as satire then that was doubtless quite intentional. My impression of this book is that it displays the same strengths as the Francis lles novels - it’s clever and witty and structurally unconventional. On the other hand it also displays the same flaws - it’s too much in love with its own cleverness and with technique for technique’s sake and the author seems to have considerable contempt for his own characters. While Roger Sheringham is exposed as a detective whose chief weakness is that he approaches crime purely as an intellectual game the same accusation could be leveled at Berkeley himself. That may well have been the author’s intention of course. The Poisoned Chocolates Case is certainly a very amusing read although overall it’s a book to be admired for its wit and its technique rather than one to be savoured as a work of detective fiction. Recommended, with reservations.